Re: Paint colors for cheap. I've bought Pokorny Paints before and I love them, unfortunately I just spent money on a laptop and I have a bunch of caverns to paint. Does anyone know which colors from the Apple Barrel or Folk Art stuff is equivalent or near in color to the Pokorny colors? I think you will have to mix the craft paint to match so there is no easy answer. Apple Barrel pewter gray is darker than Pokory base gray for example. Buy basic colors like black, white, tan, and brown and mix on a pallet. Primer matters more than paint. Any paint brand in an eyedropper is better over white primer. The repurposed paint shelf. 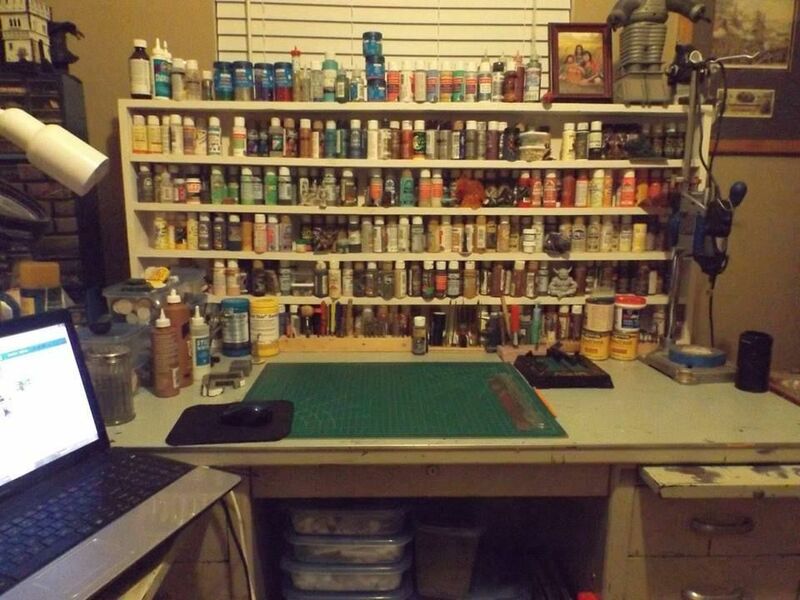 I am currently building a new larger shelf for craft paint.I am moving toward large bottles. 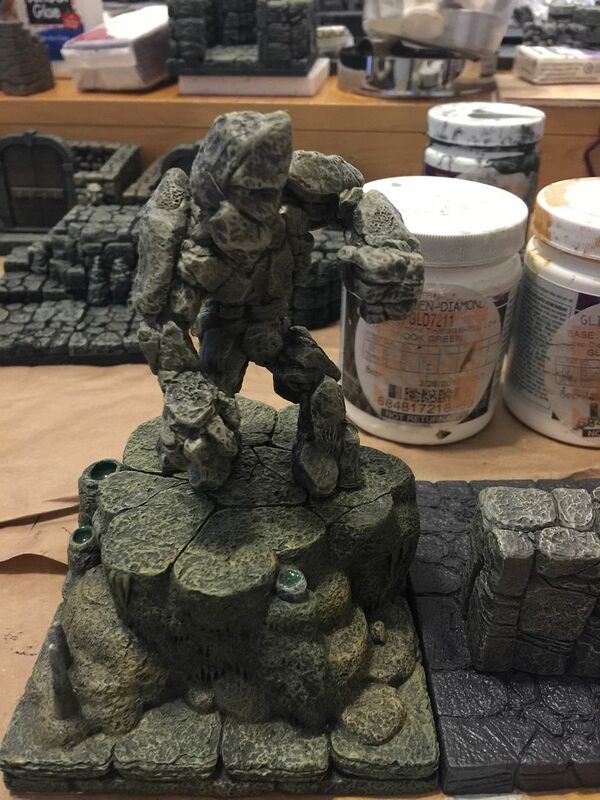 I mentioned primer.What if you want to paint over the base with out using any. I would suggest house paint. I dry brushed the ginger color over the base and highlighted using the green white eggshell. Only two colors.The dark green black is the base color for plaster cast bases.I buy it by the gallon. The quality for the job required is far better than Craft Paints. The wonderful mix of the Dry Brush Pokorny Paints is better than high end Model Paint in my opinion. 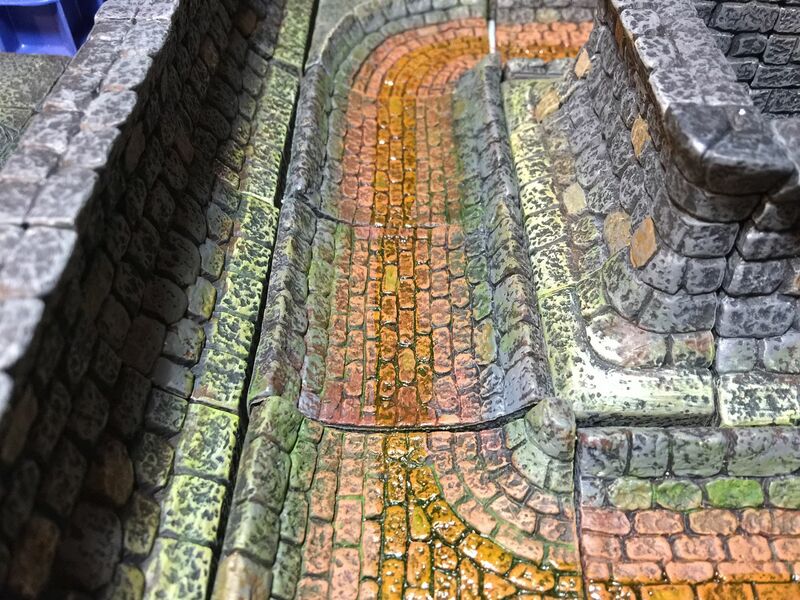 They are also nice sizes for lots of terrain and then you can highlight with craft paints. 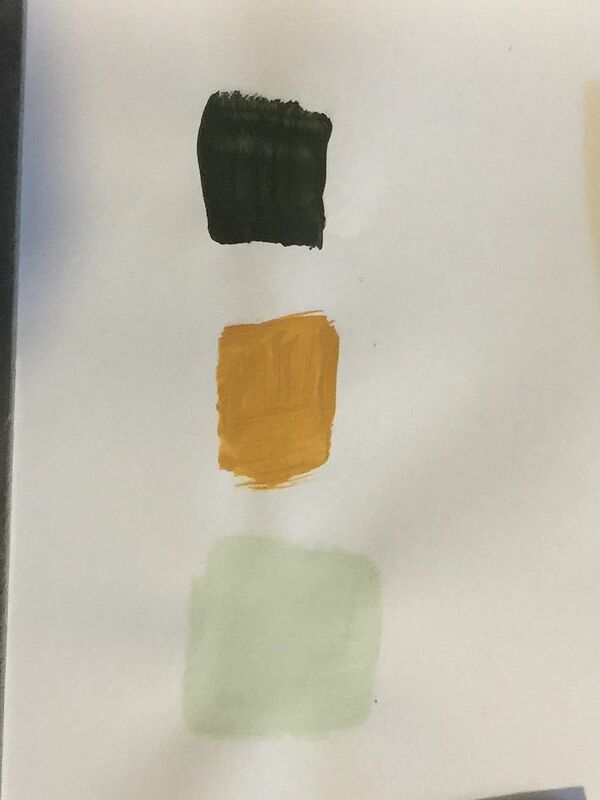 To minimize your purchase, just get the main 4 step process paints. Base Gray, Earth Stone, Olive Dry Brush and Stone Edge Dry Brush. I would get the last one if none of the others, works great. The eyedropper size will not go far on a 4 inch wide brush. If you are only going to paint DF go with Pokorny paint. I would just go with DF paints for the majority of the painting. Reaper or Vallejo are good for some smaller accent colors. . I don't paint, but I thought Pokorny Paints were pretty darn cheap, especially for the largish sized bottles when you had lots to paint? Just IMO, but personally I would not use the craft store paints on nice DF pieces. 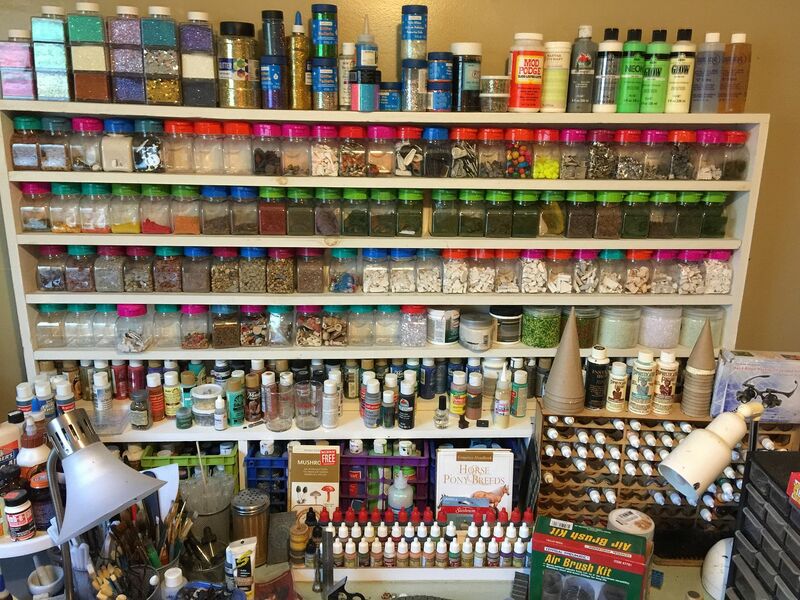 You can find Vallejo or some other name brands for not much more money, and they are just plain superior in consistency, pigment, coverage, etc.